Register for the 2018 Reading Session Here! Professional Development Units and Clock Hours Available! OBDA Adjudication OR Apple / MAC Educational Workshop on Final Day! Now in its thirty-fifth year, this popular workshop attracts elementary through collegiate band directors to perform and evaluate newly published band compositions and arrangements, increase their knowledge of standard band repertoire, and help develop future Oregon Band Directors Association recommended literature lists. Participants will read over 100 concert and jazz band compositions of all levels of difficulty. The majority of selections will be most appropriate for middle school and less advanced high school bands. As we have done during recent years, Beacock Music Company will continue management of the workshop. The site will be at Lake Oswego High School where Chris McCurdy of Lakeridge HS will be our host. Participants will be able to receive Oregon Professional Development Units or Washington Clock Hours. The one-day format for jazz literature and other optional related clinics has been a big hit and will be continued. August 6th will focus exclusively on jazz with a big band reading session jointly led led by the highly respected conductors Clarence Acox (of Garfield HS in Seattle, WA.) 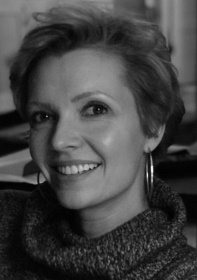 and Deb Schaaf (of Jane Adams MS in Seattle, WA.). 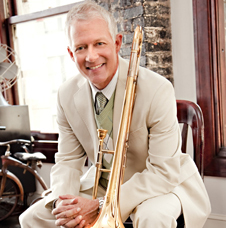 Legendary trombonist and educator Andy Martin (appearing, in part, courtesy of Yamaha Musical Instruments) will be on hand to give his perspective on jazz compositions, improvisation, and perform with reading band. The next three days will concentrate exclusively on concert band. Patrick Murphy (Director of Bands at University of Portland), Mark Lane (recently retired Master Educator and Conductor, appearing courtesy of Conn-Selmer Musical Instruments), and Charlie Menghini (Nationally Renowned Educator and Conductor, appearing courtesy of Conn-Selmer Musical Instruments and Hal Leonard) will select and conduct the compositions for August 7, 8, and 9. > The Oregon Band Directors Association’s annual band and orchestra adjudication workshop during the morning and early afternoon. > **NEW!!! ** A class and workshop focusing on available Apps for Music Educators, how to use them, and how to integrate them into your music classroom. This will be held at the Pioneer Place Mac Store and conducted by Apple/Mac Educational Programming Experts based on a survey of class participants as to what is most useful. THIS OPTION HAS LIMITED SPACE AND IS ONLY AVAILABLE TO THE FIRST 30 PAID FULL-WEEK REGISTRANTS. Clock Hours and Professional Development Units are available through the Lewis & Clark Graduate School of Education and Counseling Center for Community Engagement. Participants who pay the full $100 workshop registration fee to Beacock Music may also register onsite for these. The course will be proctored and administrated by Patrick Murphy. Pre-registration for Clock Hours and PDUs is not available. Purchase orders or checks for the PDUs and Clock Hours cost only are payable to “Lewis & Clark.” Payment by credit card will also be accepted at onsite registration. All arrangements for these are done by Lewis and Clark College and administered through Dr. Patrick Murphy. All questions regarding these should be directed through those avenues. Contact Philip Hodapp of Beacock Music 360-608-8783 ([email protected]) for the full schedule of activities. 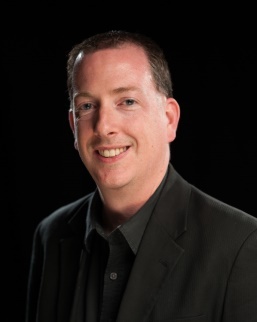 Dr. Patrick Murphy is Director of Bands and Associate Professor of Music at the University of Portland. He has presented sessions at regional, national, and international conferences in both the United States and Europe. His research focuses primarily on Soviet wind band music, about which he is consulted by conductors and researchers worldwide. This past May he returned to Moscow to conduct further research and teach conducting at the Russian Academy of Music. Dr. Murphy’s degrees include a Doctor of Musical Arts in Wind Conducting from the University of Arizona, an M.A. in Music Education from the University of Minnesota, and a B.M. from Washington State University, also in Music Education. He has nine years of public school teaching experience at the high school and middle school levels in California, Ohio, and Nebraska. In addition, he has conducted numerous honor ensembles and clinics, has dozens of musical theatre conducting credits, and is an active adjudicator. Locally, he is conductor of the Southwest Washington Wind Symphony, Portland Community Wind Band, and the Metropolitan Youth Symphony’s Symphonic Band. Mark Lane recently retired as the Associate Director of Bands and Professor of Music Education at Central Washington University after serving 12 years. Previously, Mark taught high school for 27 years in both Oregon and Washington. Mark holds a BA from Eastern Washington University and a MA from the University of Oregon. He has served on both the Oregon Music Education Association and the Washington Music Educators Association Boards. In Washington, Mr. Lane served 14 years on the WMEA Board of Directors and was President from 2008-2010. Mark served as the Northwest Division President of the National Association for Music Education from 2013-2015 and was on the National Executive Board of NAfME for three years. He was liaison on the National Collegiate Advisory Board for National Association for Music Education from 2012-2017. As a high school teacher, Mr. Lane has been awarded Educator of the Year five times and has received two Citations of Excellence from the National Band Directors Association. In 2001, Mark received the Sudler Order of Merit of the John Phillip Sousa Foundation and was inducted into the BANDWORLD Legion of honor. During his appointment at CWU, he received the 2012 Crystal Apple Award from the CWU Education Department. Mark was recently inducted into the Washington Music Educator Association’s Hall of Fame and was honored as the Washington Music Education Association/Washington Interscholastic Activities Association 2015 Music Educator of the Year, the 2016-2017 Outstanding Music Educator Award for the Northwest Region by the National Federation of High School Associations, and most recently was awarded the 2017 NAfME Northwest Division Distinguished Leadership Award. Mark comes to the Reading Session this year due, in large part, to a grant from Conn-Selmer Musical Instruments. Dr. Charles T. Menghini is President Emeritus,of VanderCook College of Music in Chicago, Illinois. Dr. Menghini served as President and Director of Bands from August of 2004 through May of 2017 and prior to that time served as Dean of Undergraduate Studies and Director of Bands. He began his teaching at VanderCook College in 1994 and in addition to being Director of Bands he taught instrumental conducting, organization and administration, curriculum and supervision, brass methods and rehearsal techniques classes. Charlie brought with his appointment to VanderCook 18 years of successful high school band experience in Missouri and Kansas. Bands under his direction received consistent Division I ratings in regional, state and national music festivals, performed at various state music educator conventions and performed in the Tournament of Roses Parade, Orange Bowl Parade, Bands of America International Festival and the XV Olympic Winter Games in Calgary, Alberta, Canada. Originally from Iron Mountain, Michigan, Menghini attended Northern Michigan University and the University of Missouri – Columbia where he earned his Bachelor of Science degree in Music Education. He also holds a Master degree in Education from the University of Missouri – Kansas City and a Doctorate of Arts in Wind Conducting from the University of Missouri – Kansas City Conservatory of Music. 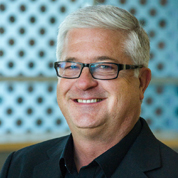 Charles Menghini writes for numerous professional journals and magazines including InTune Monthly, School Band and Orchestra and the “Instrumentalist” where he serves as a member of the Board of Advisors. He is also co-author of the Essential Elements Band Method, published by the Hal Leonard Corporation. Charlie frequently serves as a clinician and adjudicator throughout the United States, Canada, Europe, Australia and New Zealand, and has actively worked with over 350 school and community ensembles from 20 states as well as Canada, Japan, Southeast Asia and Australia. 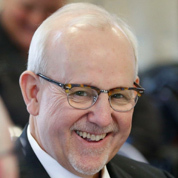 He has conducted all –state ensembles in Wisconsin, North Dakota, Georgia, South Carolina, Nebraska, New York, Virginia, and Minnesota, and has presented numerous clinics at the Midwest Clinic in Chicago and state and regional music educators in-services throughout the world. Charlie is an educational consultant for the Hal Leonard Corporation of Milwaukee, WI and the Conn-Selmer musical instrument company of Elkhart, IN. In addition, Dr. Menghini is an educational member of the Music Achievement Council of the NAMM Foundation. An active performer, Charlie played lead trumpet in the Kansas City Chiefs Professional Football Band for fifteen seasons and serves as the official trumpeter of the City Club of Chicago. Charlie comes to the Reading Session this year due, in large part, to grants from Conn-Selmer Musical Instruments and Hal Leonard Corporation. Brought to us through the generosity of Yamaha Musical Instruments, trombone artist Andy Martin launched his career while still in his teens. His technique and virtuosity quickly established him on the Los Angeles music scene, and since that time he has become one of the most in-demand trombonists across the country and around the world. His sparkling bebop lines and musicianship make him equally at home on the stage and in the studio. He maintains a busy schedule in L.A. as a recording artist, sideman, and section player, while traveling frequently for guest appearances. Andy's first influence was his father, music educator and trumpeter David Martin. He also owes much to his teachers and outstanding fellow musicians Charlie Shoemake, Robert Simmergren, and Roy Main. As an instructor, Andy has influenced countless young players as a guest artist and clinician. A world-class jazz musician, Andy has released twelve albums as either leader or co-leader. These albums showcase his dazzling improvisation alongside other top jazz artists such as the late Carl Fontana, Pete Christlieb, Bobby Shew, and Eric Marienthal. He has also collaborated as a sideman with jazz greats such as Stanley Turrentine, Vic Lewis, and Horace Silver. Additionally, he is well-known for his work as a lead player and featured soloist with virtually every big band in L.A, most notably as lead trombonist and featured soloist with Gordon Goodwin's Big Phat Band. He is also the lead trombonist and soloist for The Tom Kubis Band and soloist for the Bill Holman Big Band. Andy has also appeared in bands led by Jack Sheldon, Louis Bellson, Quincy Jones, Matt Cattingub, Bob Curnow, Patrick Williams, and Sammy Nestico, and Poncho Sanchez, among others. Andy has long been one of L.A.'s first call trombonists for commercial recordings, television and motion pictures, and live theater. He has contributed on albums for many popular artists, including the Pussycat Dolls, Coldplay, and Michael Buble. His television credits include every major awards show - the Grammys, Emmys, Academy Awards, Golden Globes, and Screen Actors Guild Awards - "Dancing With The Stars," "American Idol," "Family Guy," "American Dad," "King of the Hill," and many others. His motion picture credits include the soundtracks of over 150 major films, including a project with Grammy Award winning rap artist Kanye West for the soundtrack of Mission Impossible III, John Carter, Tin Tin, Glory Road, Just Like Heaven, Rush Hour, Planet of the Apes, Spiderman, Big Fat Liar, Enemy of the State, Armageddon, Patch Adams, and Romeo Must Die, and animated hits like Monsters, Inc., Robots, and Cars. Andy is also first call trombonist at Hollywood's Pantages Theater, where he has played for Broadway hits like Mel Brooks' The Producers, Disney's The Lion King, Wicked, and Hairspray. Musician, mentor and educator, Clarence Acox has infused Seattle – and the nation – with the jubilation of jazz for thirty years. 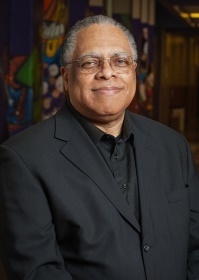 A native of New Orleans, Acox came to Seattle in 1971 from Southern University to revive Garfield High School’s music program. Under his tutelage, it has grown into one of the pre-eminent youth music organizations in the nation. The renowned Garfield Jazz Ensemble is now the most traveled high school jazz band in the country. Garfield's Jazz Ensemble has taken first place four times at New York's Essentially Ellington National Jazz Band Competition and Festival at New York City's Lincoln Center - the country's most prestigious high school jazz competition. Under Acox's direction, the jazz ensemble has won just about every major competition on the West Coast, including the Lionel Hampton Jazz Festival in Moscow, Idaho, and Oregon's Mt. Hood Jazz Festival. Acox also serves as Artistic Director for Seattle JazzED, a nonprofit organization created to offer the highest level of jazz education and performance to the youth of the Seattle metropolitan area, regardless of their prior access to musical resources or their ability to pay. He also directs Seattle University’s Jazz Ensemble and serves annually as a faculty artist for the renowned Bud Shank/Centrum Jazz Workshop. Acox is in high demand as a performer. One of the area’s busiest drummers, Acox co-founded and serves as co-artistic director of the Seattle Repertory Jazz Orchestra. He serves on the Board of Directors of Earshot Jazz Society of Seattle, which named him Jazz Musician of the Year in 1992. Acox performed with the Floyd Standifer Quartet (now the Legacy Quartet) at the New Orleans Creole Restaurant for more than two decades. His own sextet has won numerous awards for its recordings Joanna’s Dance and Indigenous Groove. Acox was named "Educator of the Year" by Down Beat magazine in 2001. In 2004, the Seattle Music Educator's Association awarded him its "Outstanding Music Educator" award. In 2007, he was awarded the Mayor's Arts Award by Seattle Mayor Greg Nickels, and in 2008 Seattle Metropolitan magazine named him one of the 50 most influential musicians in the history of Seattle music. Deb Schaaf has an unparalleled ability to inspire students to their highest levels of performance and build community in the process. A relative newcomer to the long-established Jazz Education scene in Seattle, Deb has quickly built a reputation as an energetic, exacting and knowledgeable teacher. From standing-ovation mainstage performances at the Lionel Hampton Jazz Festival to being the most-awarded middle school at the Monterey Jazz Festival, Deb’s bands have won top solo, combo, ensemble and sweepstakes trophies at festivals and competitions throughout the Western United States. Deb’s students quickly take leadership roles in their High School bands, and have gone on to tour with the the Monterey Jazz Festival’s Next Generation Jazz Orchestra and to major in music at Oberlin Conservatory and the New School. In 2016, she was nominated by her students and selected from a nationwide pool to receive a 21st Century Fox/ Give a Note Foundation MusicEd Idol Award. In addition to her roles as the chair of the Jane Addams Middle School Music Department, wife, and mother of three busy kids, Deb is a member of the Board of Directors of both the Garfield Jazz Foundation and the Seattle Repertory Jazz Orchestra, and even finds time to dust off her bari sax and practice once in a while.